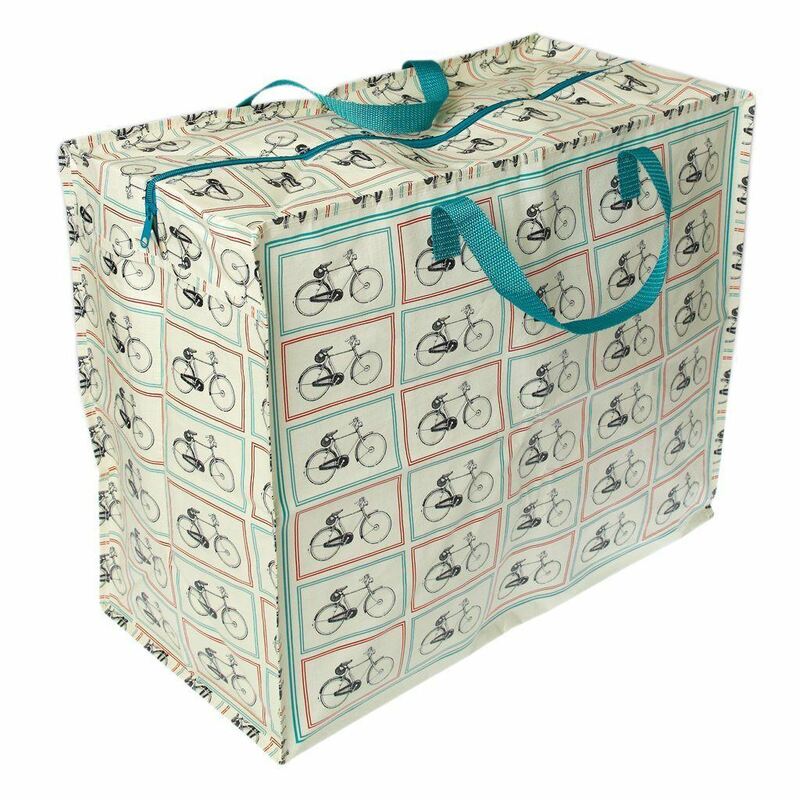 BICYCLE DESIGN JUMBO STORAGE BAG. 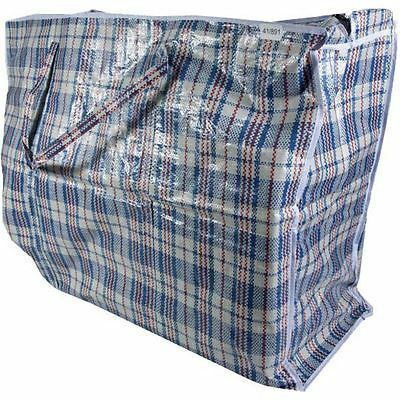 Jumbo laundry bag made from recycled plastic bottles. 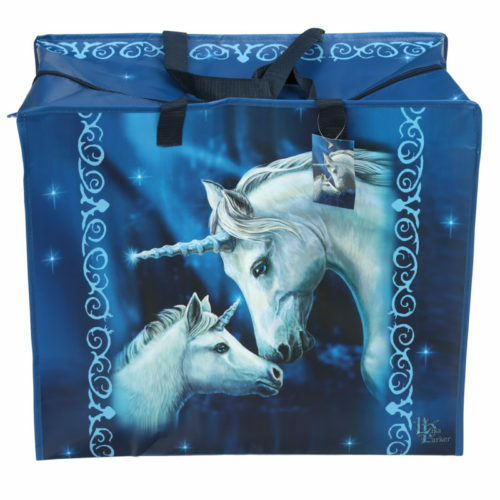 Storage ideas for these bags are endless. They can be used for laundry, toys, garden tools, camping holidays, bedding, welly storage and so on. Woven nylon handles & metal zip fastening. 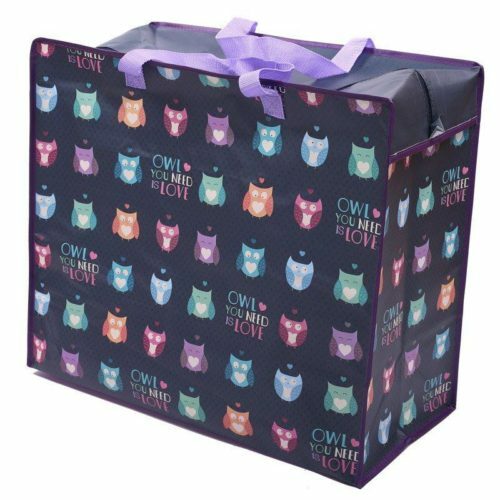 Storage solutions don’t need to be all about plastic boxes and over-filled draws, Bags of Room’s original jumbo storage bags are the most stylish way to store anything and everything. 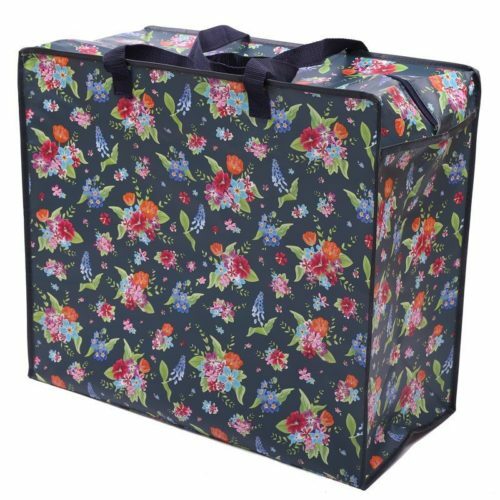 These jumbo bags are perfect as a laundry bag, or for storing out of season clothes and spare linen. 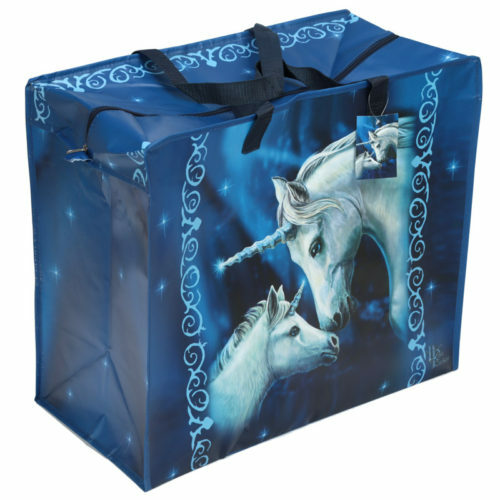 Our jumbo bags are also a great alternative to boxes when you’re moving house, going on a trip in the car, or for students moving into their new accommodation. And once you’re done with them you can fold them up and put them away until you need them again.